I always feel at peace when sitting amongst the flowers in a garden. This design symbolizes that serene feeling. 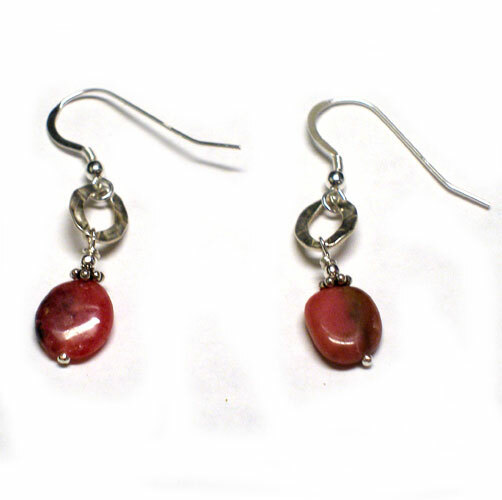 Deep pink Rhodonite and Sterling Silver offer a fun way to feel calm while on the go!